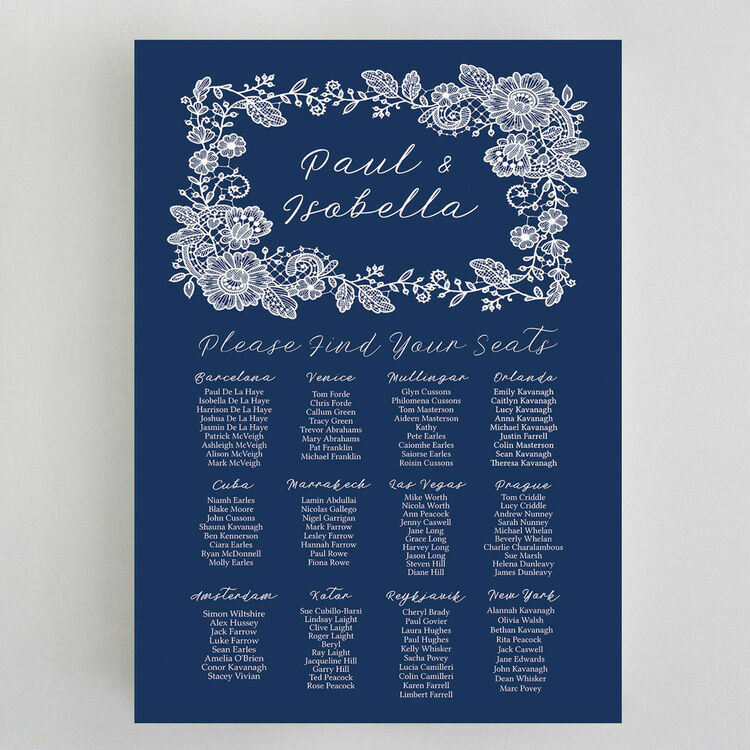 Perfect for the entrance to your wedding venue, our Floral Lace seating plan provides a lovely way to show guests what table they'll be sitting at. 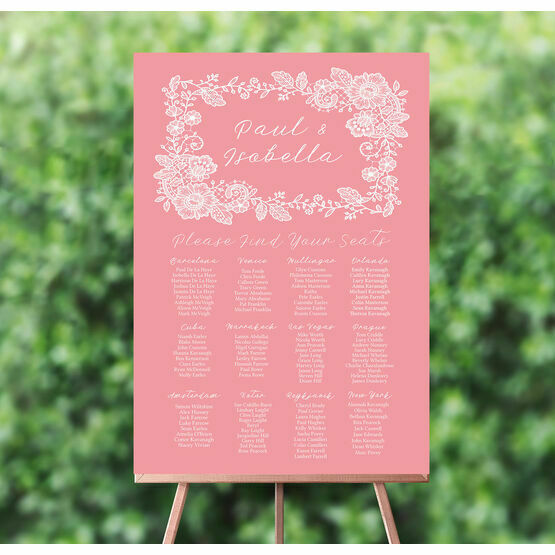 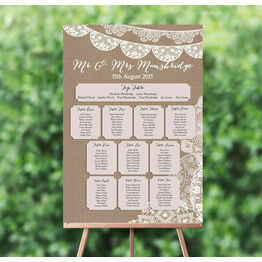 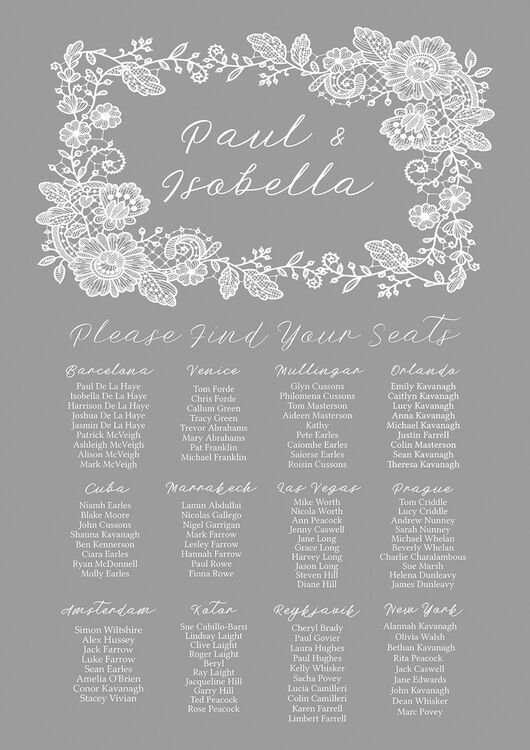 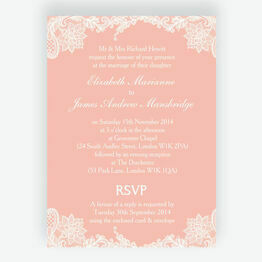 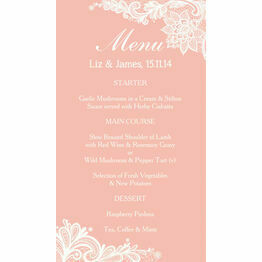 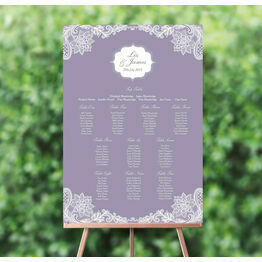 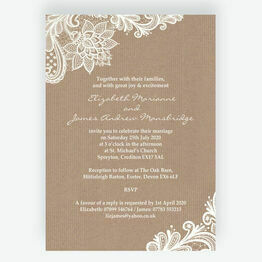 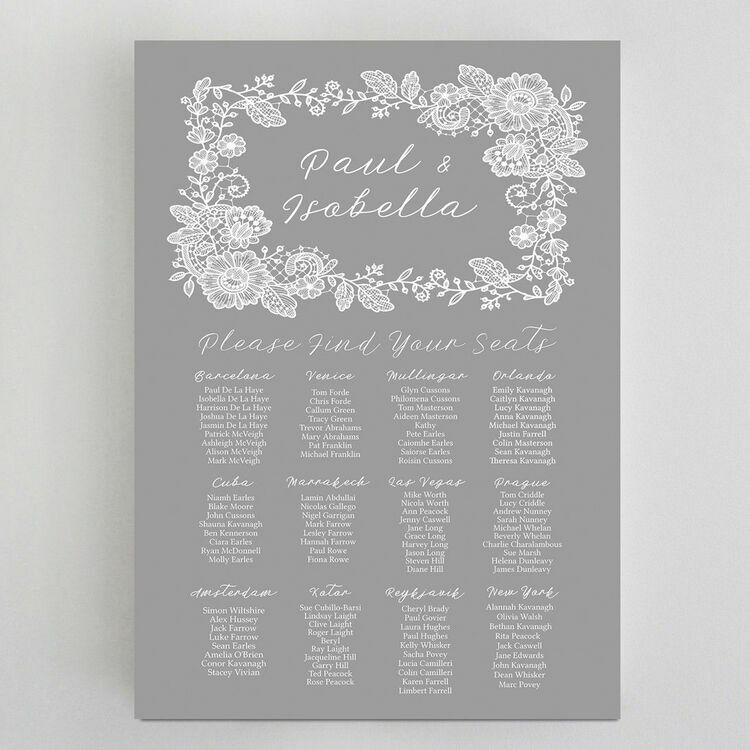 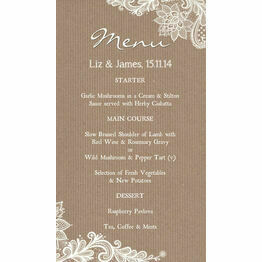 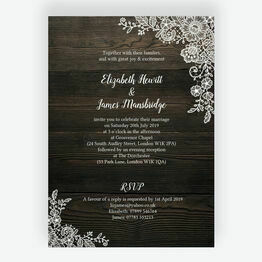 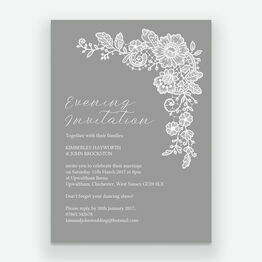 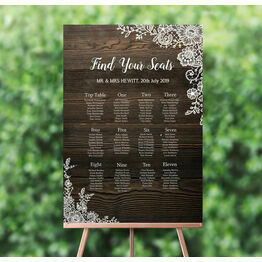 The name of the happy couple is bordered with an etched-style vintage floral lace design, while we can personalise the design to include the number of tables you have below. This design is available in charcoal, dove grey, coral and navy blue.